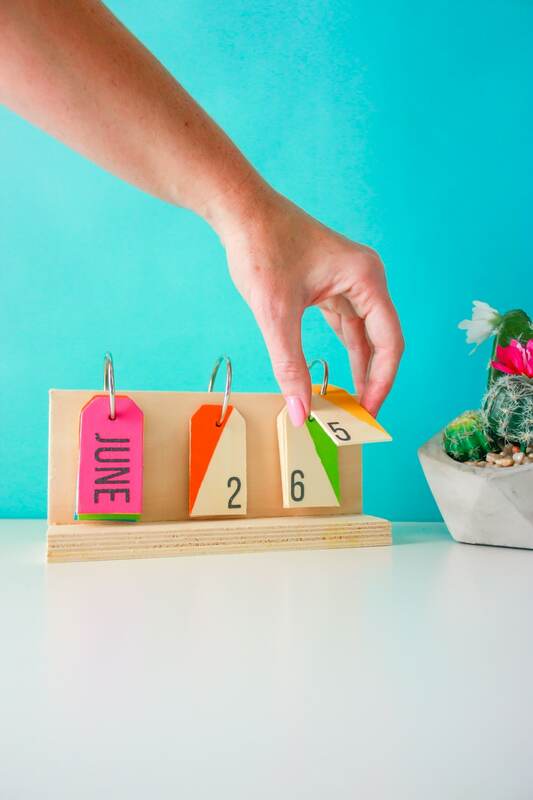 How To Make A Perpetual Calendar - A colorful desktop calendar! 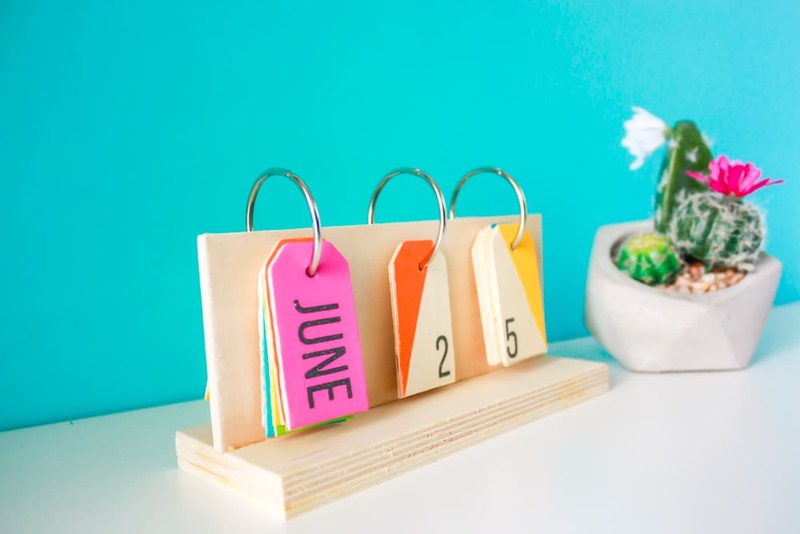 This post is sponsored by JOANN You can make a perpetual calendar for a colorful way to display the date on your desk. It’s no secret that I’m a fan of color. Take a peek in my living room or my craft room/office and you’ll see I don’t shy away from a few bright hues. 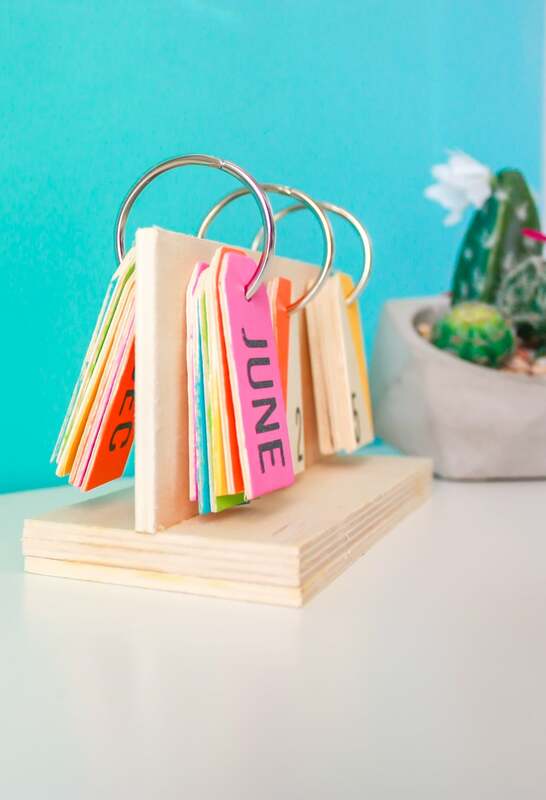 A few years ago I created a giant acrylic calendar which I love to use to plan out my month at a glance (I use dry erase markers and post-it notes). 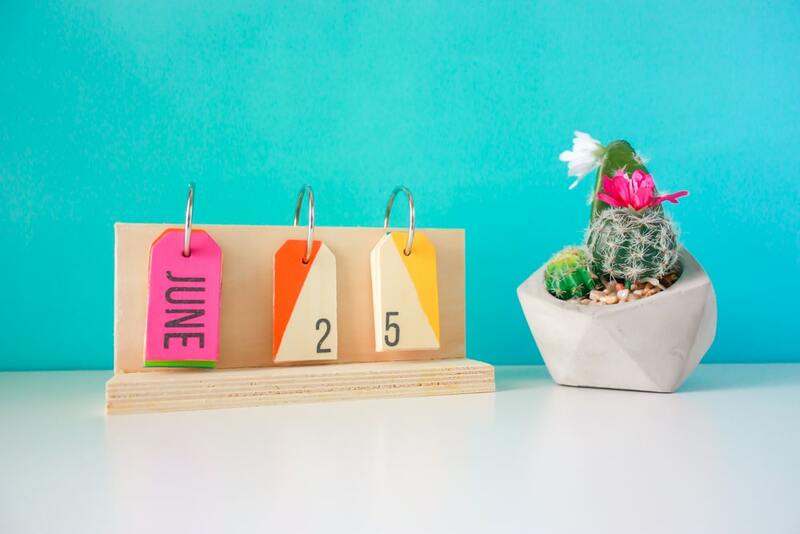 I wanted a small desktop calendar which just showed the date and I knew I wanted it to be COLORFUL! 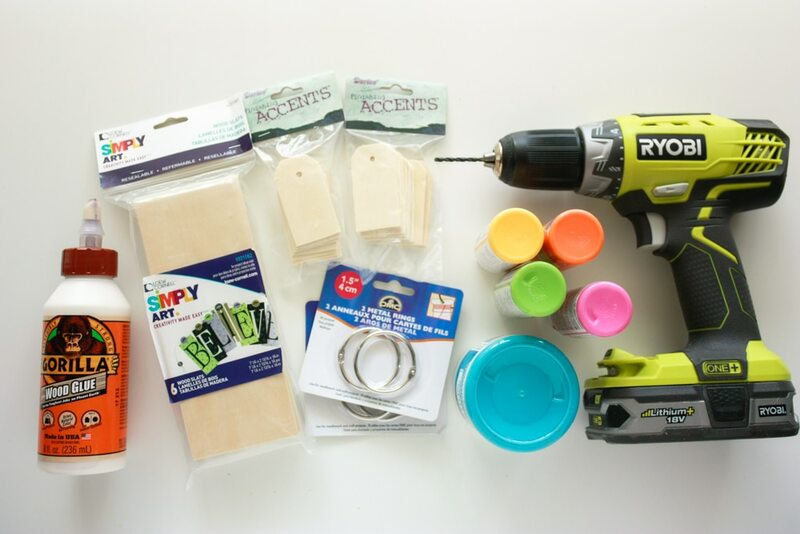 I went to JOANN to pick up the supplies for this project and love that it was so simple to put together. 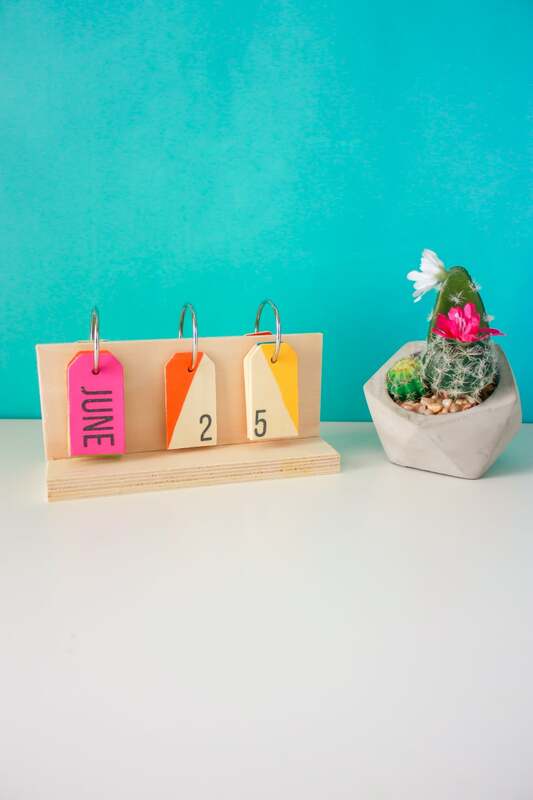 This tutorial shares how to make a perpetual calendar for a colorful way to display the date on your desk. I started by glue 3 pieces of wood together to make the base thicker and taller. Set aside to dry. 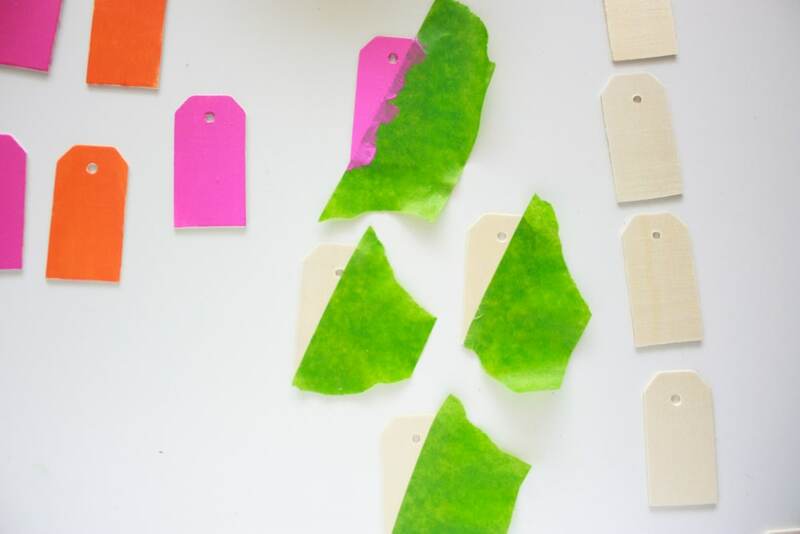 Paint your wooden tags. You'll need 12 for the months, 4 for the second column (numbers zero-three), and 10 for the last column (numbers zero-nine). For my DIY perpetual calendar, I painted the months a solid color then each of the numbers for days I painted stripes using painter's tape. Next take your metal rings with the tags on it, and try to estimate where on one of the wood pieces you need to make your hole. It depends on the size of your metal rings, so make sure you have enough room for the tags to hang. Mark where you want your holes. 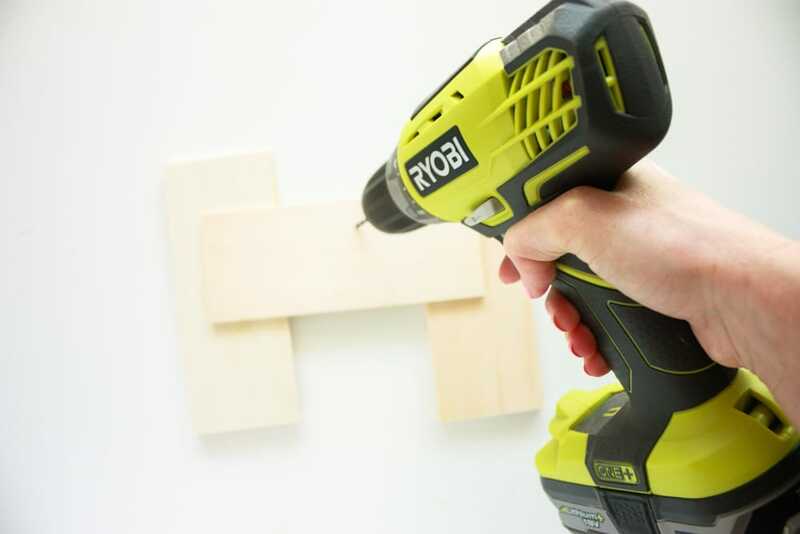 Use a drill to make small holes equally spaced apart. 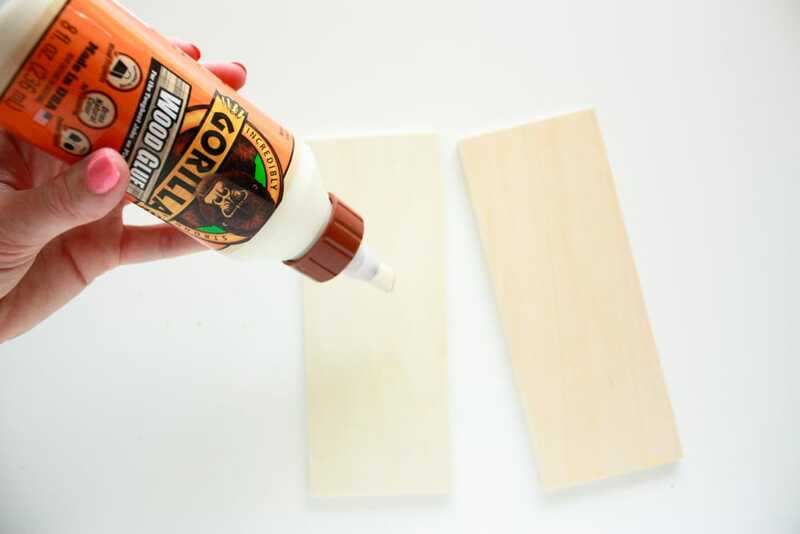 Attach this wooden piece with wood glue to the base you made and allow to dry. Add the metal rings with your wooden tags. I found that 12 was way too many to hang properly, so I split these and had half hang on the back. Twice a year I'll have to flip these but that shouldn't be too hard! I also love how easy this project would be to customize! Not a fan of color? You can use natural black and white paint with a tribal design! Feeling super creative? 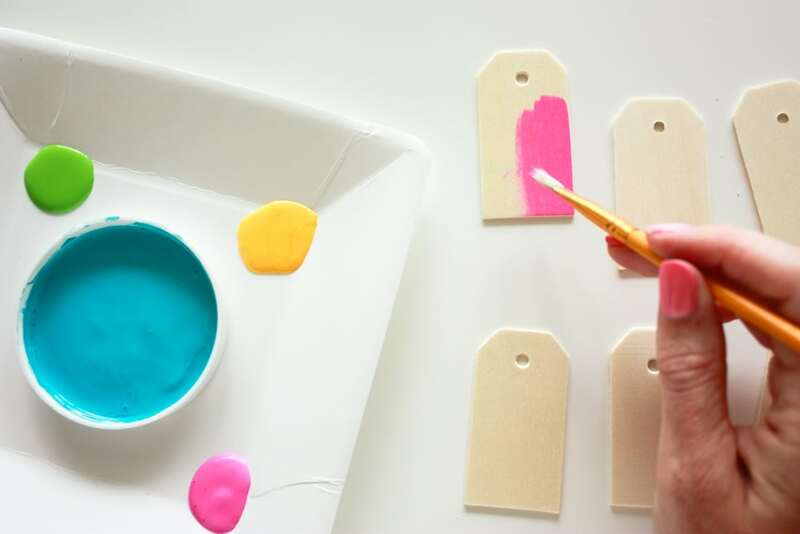 Paint a custom floral design on each tag! 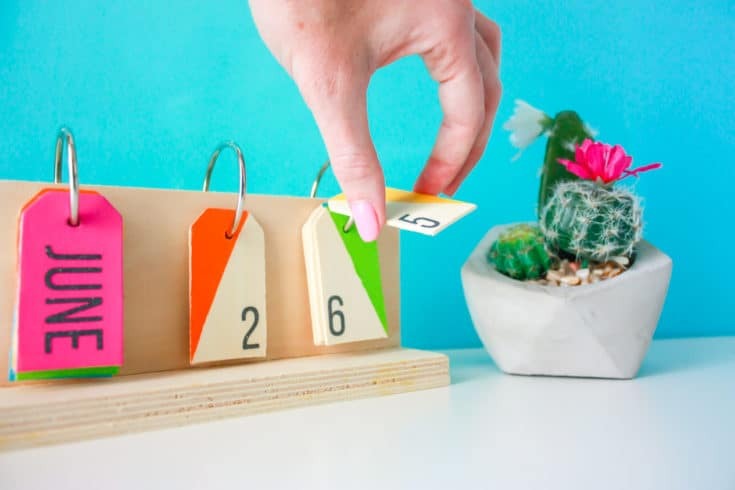 I used my Cricut to cut out each of the days of the month and the numbers, but you can easily paint these on if you don’t have a Cricut machine yet! 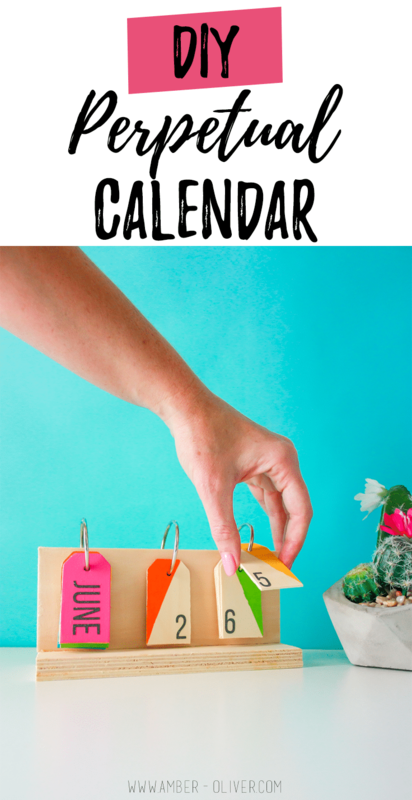 You can use my cut file for the months and the dates! 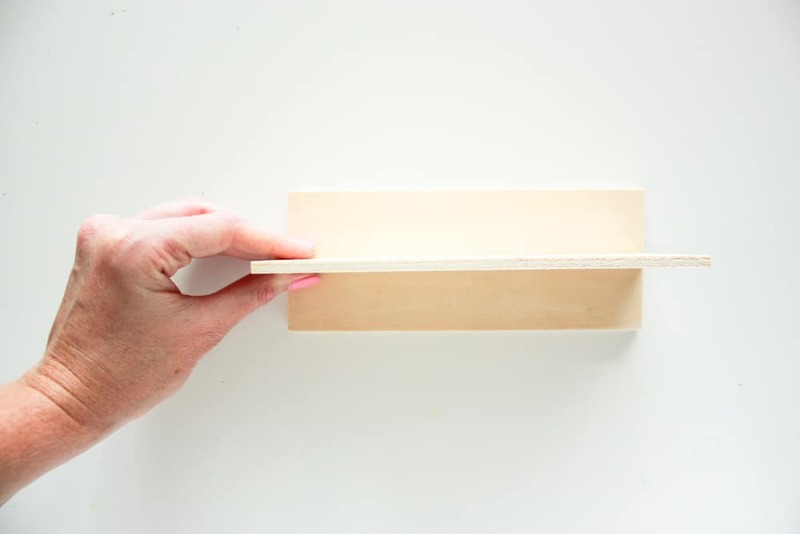 « DIY Photo Holder – How to Make A Resin Picture Stand! I am a huge fan of this calendar!! If you decide to sell these, already made, please let me know! !